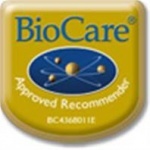 BioCare Mindlinx multi-nutrient health supplement powder is a unique combination of vitamins and minerals for children, with a high concentration of B vitamins, magnesium and zinc, in a tasty, easy to take, powder form. 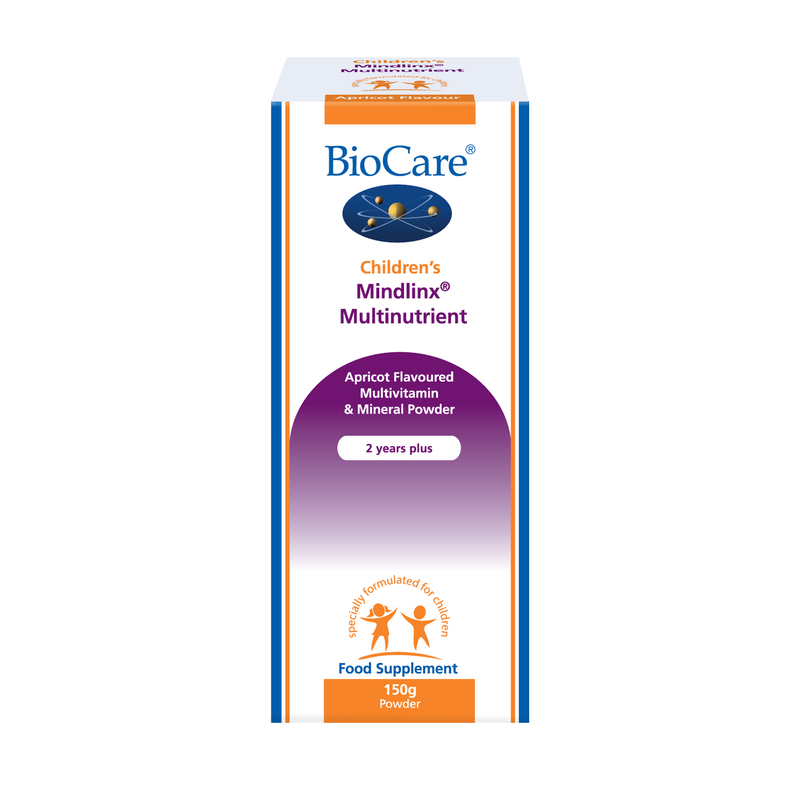 BioCare Mindlinx® multi-nutrient powder is a unique combination of vitamins and minerals for children, with a high concentration of B vitamins, magnesium and zinc, in a tasty, easy to take, powder form. Xylitol, Fructooligosaccharides (F.O.S), Magnesium Citrate, Calcium Citrate, Vitamin C (as Ascorbic Acid), Choline Bitartrate, Silicon Dioxide, Vitamin E (D-Alpha Tocopheryl Acetate1), Vitamin B6 (as Pyridoxine Hydrochloride), Modified Corn Starch, Pantothenic Acid (as Calcium Pantothenate), Zinc Citrate, Niacin (as Nicotinamide), Vanilla Flavour, Thiamine (as Thiamine Mononitrate),Olive Oil, Potato Maltodextrin, Riboflavin (as Riboflavin-5-Phosphate Sodium), Acacia Gum, Apricot Powder (Prunus armeniacafruit), Beta Carotene, Chromium Picolinate, Sucrose, Corn Starch, Biotin, Sunflower Oil, Manganese Gluconate, Vitamin A (as Retinyl Acetate), Potassium Molybdate, Antioxidants (Natural Mixed Tocopherols1, Ascorbic Acid, Ascorbyl Palmitate), Sodium Selenite, Folic Acid, Corn Oil, Potassium Iodide, DL-AlphaTocopherol, Vitamin B12 (as Cyanocobalamin), Vitamin D2 (as Ergocalciferol), Vitamin K (as Phylloquinone). Take daily with food as indicated or as professionally directed. Can be mixed into water, milk or juice to take alongside food, or sprinkled directly onto food.